Surgical procedures require a perfect view of the operating area. Here, the surgeon is often supported by a surgical microscope. 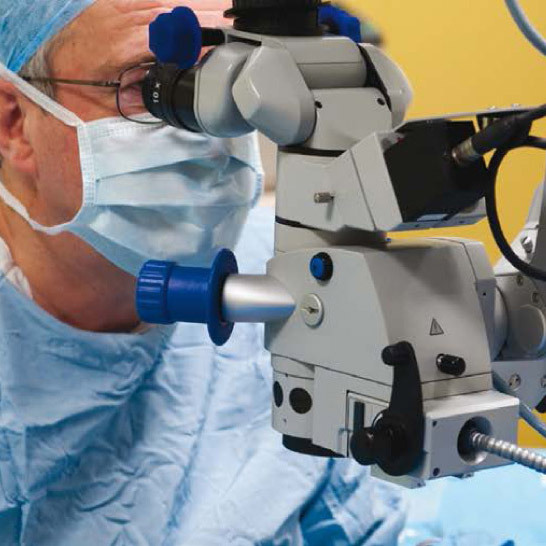 To enable the surgeon to best position the microscope and to give the surgical team more room to move, the microscope optics are mounted to long arms on a stand.